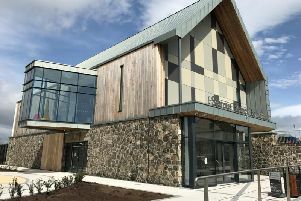 Police used information from a dashboard camera to trace a driver involved in a hit-and-run incident in the Culnady area, Magherafelt Magistrates Court heard. Aaron Donnelly (27), bricklayer, of Largantogher Park, Maghera, was fined a total of £465 and banned from driving for eight months. Donnelly admitted a series of charges including failing to stop, remain and report the accident, having no insurance and careless driving on July 11 last. A prosecuting lawyer said there was damage to the driver’s side of the vehicle and defendant later admitted that he had come round the bend on the wrong side and hit it. Mr Donard McCann, solicitor, said defendant had “simply panicked” after the collision with the parked car and drove on. He said Donnelly had gone to the police the next day.